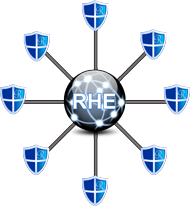 All of our EHR solutions such as Royal Forms and Royal Kiosks are stitched together through the Royal Health Exchange (RHE) and Report Guard® for secure access to the right information, in the right hands, and at the right time. The RHE seamlessly and securely integrates Imaging Centers, Hospitals, Physicians, Patients, and other Health Care facilities. Delivering world class services through a low cost Software as a Service (SaaS) model. It's time to get started on your path to achieving Meaningful Use. Royal's solutions and best practices are designed to accelerate time to market and ensure that our clients realize immediate value to their business. Meaningful Use is part of the Medicare and Medicaid EHR incentive program, which will serve as the catalyst for increased technology in healthcare. Royal Solutions Group LLC, a leading provider of Software-as-a-Service (SaaS) solutions to the Health Care industry, has deployed Royal Kiosks™ to enable on-site and mobile patient registration capabilities for patients at East River Medical Imaging, PC New York, NY. “As with all of our solutions, this patient portal integrates uniquely with the imaging center’s workflow, delivering their own internal Office Forms auto-populated with patient registration information directly to intake staff and existing EHR systems. It allows the imaging center to significantly decrease patient intake time, reduce data entry errors and to engage the patient even at home, enhancing the patient experience by ensuring a more informed patient and provider.” – Rafal Pisarski, CMO, Royal Solutions Group. The Royal Kiosk’s Portal will now allow East River Medical Imaging PC to attest for Meaningful Use.